TVERC has digitised habitat and management compartment information for Kingwood Common LWS. This work was funded by Nettlebed and District Commons. The digitised data was used to produce a series of maps. 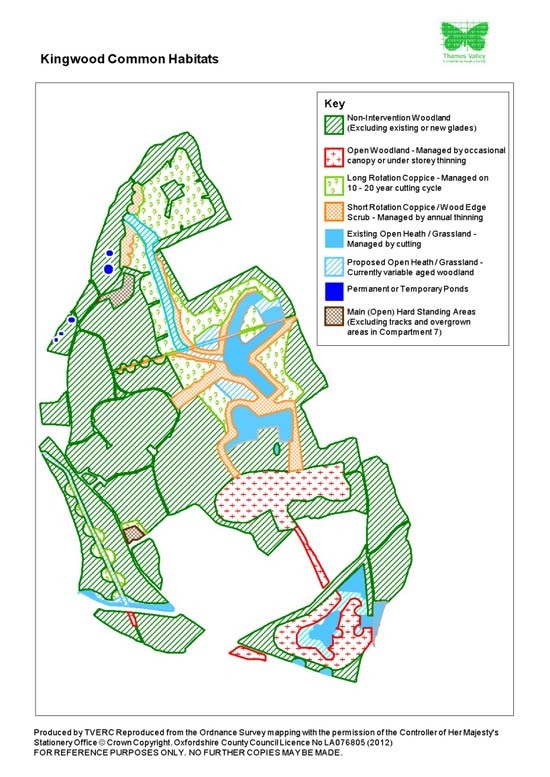 These maps will form part of the management plan for the site and have been used by Nettlebed and District Commons to liaise with local people on plans for management of the site.